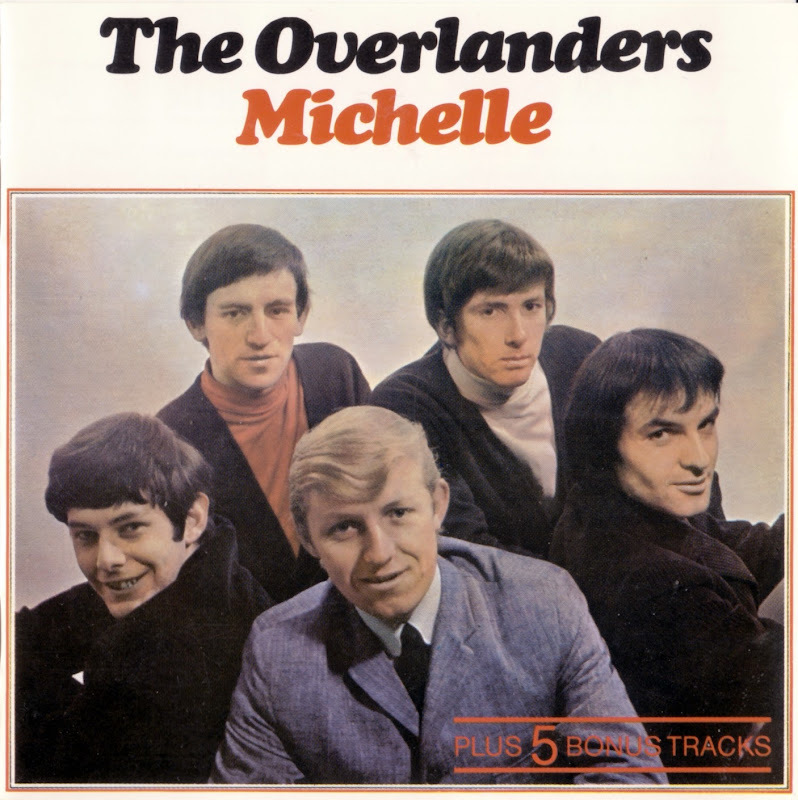 The Overlanders formed in 1963 as a folky trio recording several singles for Pye which made little impact except that Yesterday's Gone (an old Chad and Jeremy number) was a minor US hit (No 75) in 1964. In 1965 they were expanded to a quintet with the addition of Walsh and Widlake. Along Came Jones was a Coasters' oldie, but it didn't chart for them. Their big break came in December 1965, when under guidance from Tony Hatch (their producer), they cut an unsolicited cover version of Lennon/McCartney's Michelle, which promptly shot to No. 1 here. This led to the release of their album but Michelle proved to be their only success and they've become a classic case of 'one hit wonders'. By the end of the year they'd split with Ian Griffiths replacing Arnold, who went solo, in their final weeks. Of their later singles My Life was worthy of some success. Ex-Sherwoods member Terry Widlake was later in Cuppa T along with Vic Lythgoe, who was also in The Overlanders at some point. David Walsh went on to play for Second City Sound.